With the RETRO-SERIES apartment entry intercom system your apartment complex and condominium buildings can be more secure than ever! This 4-wire apartment intercom system serves as a replacement, update or NEW installation for buildings ranging from one tenant unit up to 250 units! As your complex grows, so will your intercom security system. 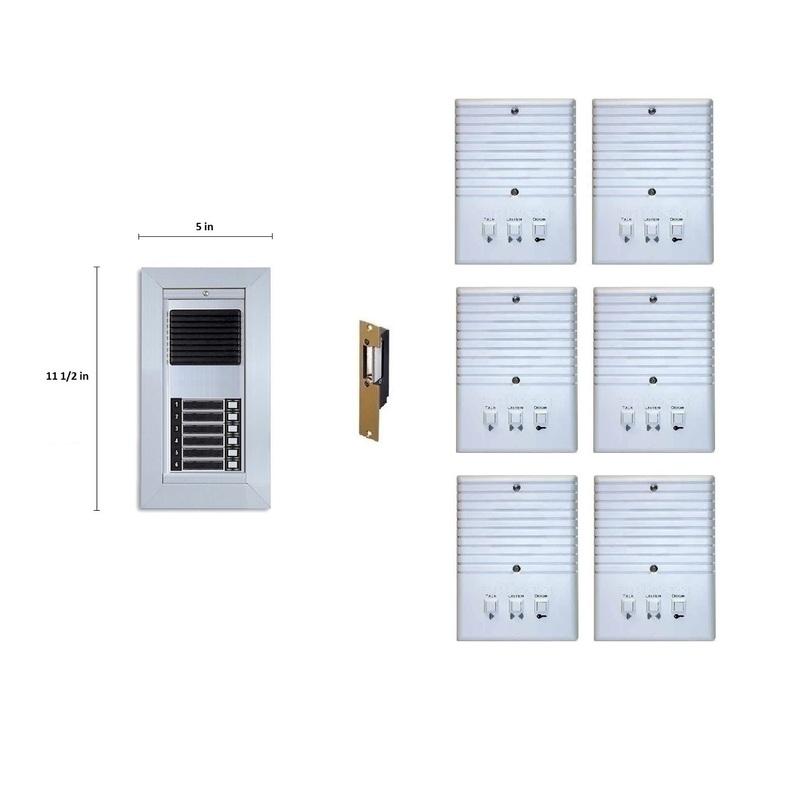 Benefit from a completely customizable kit with our RETRO-SERIES apartment entry intercom system. Our apartment intercom systems are designed to replace 3, 4 or 5-wire intercoms using existing wiring. This replacement features saves on installation and remodeling costs! Our apartment intercom system components are customizable to ensure complete coverage for old wall holes. No more wall patching or paint jobs required just to update an outdated intercom system! Low cost PVC room intercom stations come with our standard kits, but feel free to ask about stainless steel or brass stations. To ensure a perfect fit, we do ask that you accurately measure your existing lobby door panel. We customize the size of your new entry panel so that it snuggly fits into the existing wall hole. Our lobby door panels come in brushed aluminum in order to provide a cost effective solution for our apartment buildings. Other materials such as brass or stainless steel are available for an additional fee, so be sure to contact us for your customized apartment entry intercom system quote.